When you unbox your very first digital SLR camera you can’t wait to begin snapping away, which unfortunately results in many auto settings being used at first. It’s not to say that auto is the devil because manufacturers like Canon and Nikon have adapted their bodies over the years to achieve good results, however, there is plenty that auto can’t do which requires an educated eye. Reading the instruction manual when you first receive a new DSLR camera is an obvious way to learn about your camera but you’d be surprised at how many people prefer to just get hands on and start adjusting things without actually knowing what they do. It is important to know what functions each of the buttons and dials on your camera control and the first place to start should always be the manual. To avoid this provided tool will make learning how to take certain shots very difficult – a lesson I learned when I first got my camera. If you’re fortunate enough, yours will come with image examples so you can see how different adjustments affect the final shot. If on the other hand yours doesn’t then you might find some of the terminology confusing and you might not know how the adjustments alter the image – this is where some of the following resources can help! 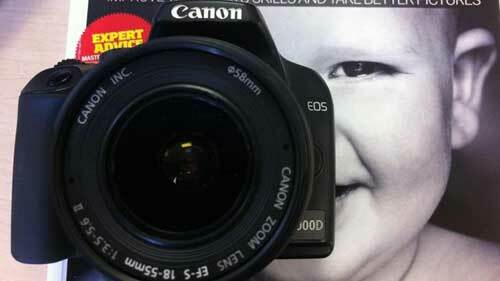 Digital SLR Photography published a 162 page MagBook titles “Getting Started in Digital Photography” which starts with a few pages on understanding Canon’s and Panasonic’s DSLR cameras and their buttons (similar to the manufacturer’s manual but more in-depth). Once the tips and tutorials begin, advice is provided for Nikon, Olympus, Pentax, Samsung and Sony DSLRs too so owners of these brands are able to learn how to configure their cameras in order to achieve the example photos provided. 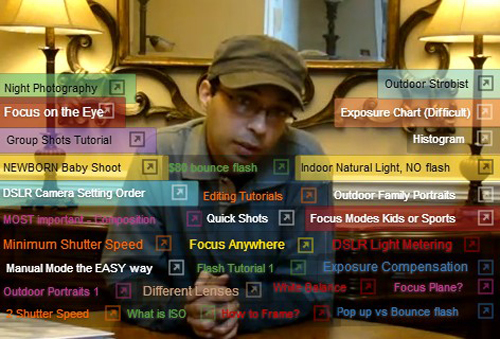 In addition to tutorials and composition advice, there is an amount of theoretical learning provided so that novices can learn how to adjust their settings if shooting conditions alter. If I remember correctly I picked mine up for about £10 which comes with a handy grey and white balance card – worth it! When you’re learning how each of your camera’s functions operate for the first time, there is a lot of information to absorb. This can often result in some functions being mistaken for others, over/ under exposed images, and all sorts of hiccups that come with learning. 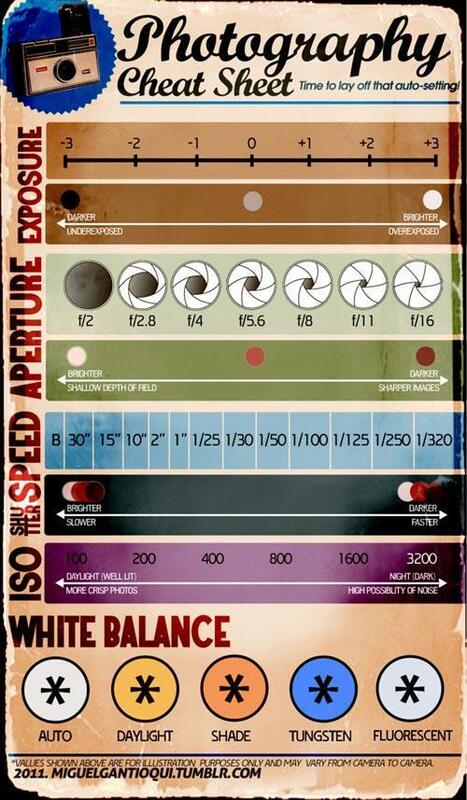 Fortunately a clever photographer and all-round creative named Miguel Gantioqui created the “Photography Cheat Sheet” below to help remind the novices out there what each camera setting does to the image. Learning from books alone can be difficult, especially if you can’t figure out why something has happened after following the exact instructions published. That’s where photography communities like Talk Photography can be incredibly useful. By interacting with experienced photographers you can learn a few tricks and tips that they’ve picked up over the years and ask for help. Also, if you’re aspiring to be a pro one day some of these forum participants can inform you of which decisions to make. When you’re learning photography by teaching yourself you don’t have the traditional teacher pupil type of interaction that you would have when learning it at a school or college. Being lectured by professionals in the field helps with understanding photography from another perspective. I found the photgraphersonutube YouTube channel very useful because it covers a variety of topics from camera functions to camera care in a set of lecture-style tutorials: The channel is heavily Nikon-based so if you’re a novice Nikon owner then you’ll get more from these videos, however, many of the topics related to the mechanics of photography are transferable to other models. 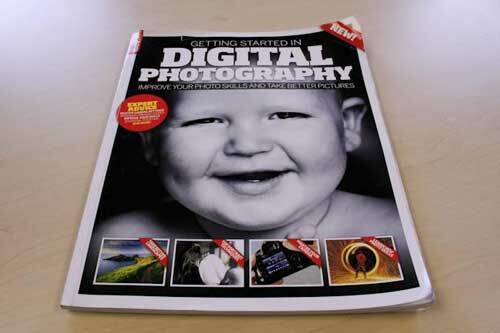 Digital Photographer is a popular DSLR photography magazine that publishes tutorials, inspirational photos (complete with the camera setting figures to learn from), spotlight articles, reviews, and general updates on the photography industry. 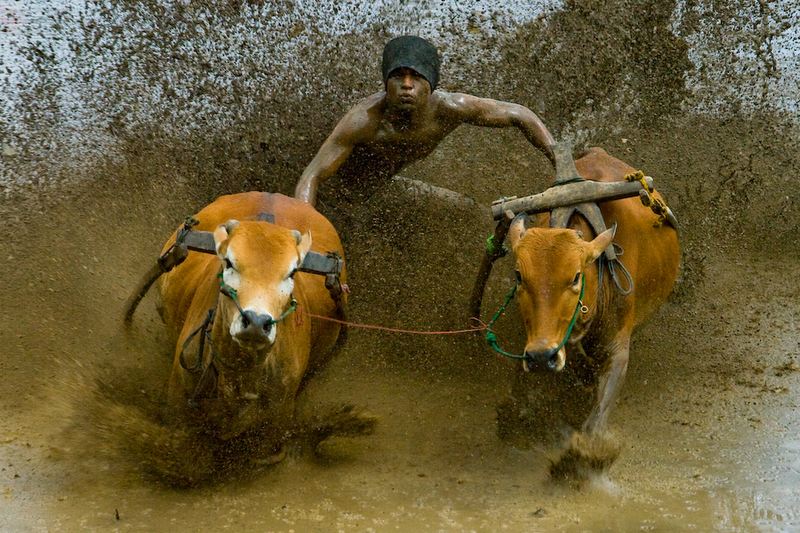 DP’s photo gallery showcases hundreds of photographs and provides details of how the image was taken including the camera manufacturer and model, lens focal length, shutter speed, etc. By looking at the types of photos I wanted to shoot I was able to understand how the camera was configured in order to achieve such a shot. Note: the configuration details provide a good base to start from, however, there are other external factors (such as light and environment) that can alter the image so your environment may not be identical to the one published online. Many photos taken by Flickr users include the camera configuration details (also known as Exif data) so you can learn from other people’s photos who shoot with the exact same camera as you. The added bonus is that you can privately message the photographer if you wanted to find out any more information about how they achieved the image they shot. 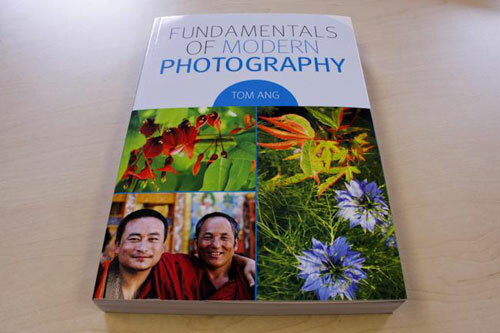 Fundamentals of Modern Photography is a great book written by Tom Ang that not only explains the various camera settings but it also covers topics like how to light a scene you wish to shoot and how to adapt to a variety of different environments. What makes this book outstanding as a newbie photographer’s must-have is the masses of knowledge it provides, including the in-depth mechanical anatomy of a DSLR camera so you can read about how images are processed – a topic that many DSLR owners have little or no knowledge of. Again this cost around £10 which is knowledge well worth paying for. Like the previous literature I suggested, it also contains example photos so you can visualise the effects of individual camera adjustments. Behance is an online community for creatives, which covers almost all fields of visual art – one of which is of course photography. For novice photographers this community will provide inspiration for outside-the-box frame compositions in addition to your more traditional ones. Most users of Behance will only upload their best work to this community, most of which has been used commercially, so it works as a good inspiration provider for photographers who hope to one day make it a profession. Once you’ve taken your photo there is a whole load of post-shooting work that can be applied to your originals to add depth, make them more artistic, etc. It just depends on what you want your final image to look like. To adjust your images you will need a photo editing software package like Adobe Photoshop and a good collection of resources to learn how each of the tools within it work. PSD Tuts+ provides exactly that. These 10 resources may seem very overwhelming at first so do what I did and take baby steps. 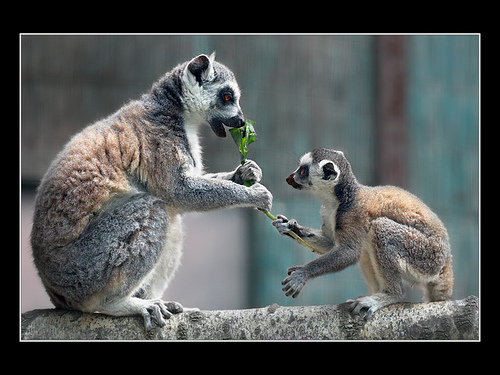 Learn from one resource after another with your camera close by so you can test whilst you read. Like any skill it takes practice so if you really want to improve yourself as a photographer you’ll be trialing everything you learn from these resources and learning all the way. I hope you enjoyed reading and wish you all the best in your learning! Randal Whitmore is an enthusiastic photographer whose DSLR is always on standby and never off, ready to capture life in a wide-angled frame. He regularly writes articles on graphic design and print for a professional flyer printing company in the UK - Solopress.